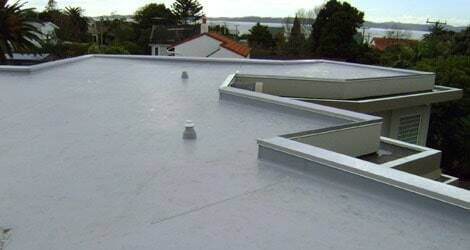 Waterproofing of roofs has become an essential part of building construction. There are different methods which can be used for waterproofing of roofs. In this article, I will share 3 most common methods used for waterproofing of flat roofs. Just in case of ordinary and low-cost construction the rooftop surface should be finished by cement mortar ideally in the quantitive proportion of 1:4. To face up to the shrinkage and extensive impacts of cement concrete or mortar, lime cream may be included in the finishing layer of concrete or mortar. In this process, a mastic layer of asphalt is provided on the roof floor earlier than the mud or lime concrete is being placed. Sometimes, asphalt layer is additionally laid on highly finished roof surface that is later sanded and properly finished. In This method, the top surface of R.C.C slab is kept rough when casting. Here, a 100 mm thick layer of brick-bat lime concrete in the proportion of 1:2:4 or brick-bat cement concrete in the proportion of 1:6:12 is laid over the R.C.C slab. The concrete layer is called bedding concrete. After that, the surface of the bedding is properly finished by tiles or using some other kind of finishing materials.